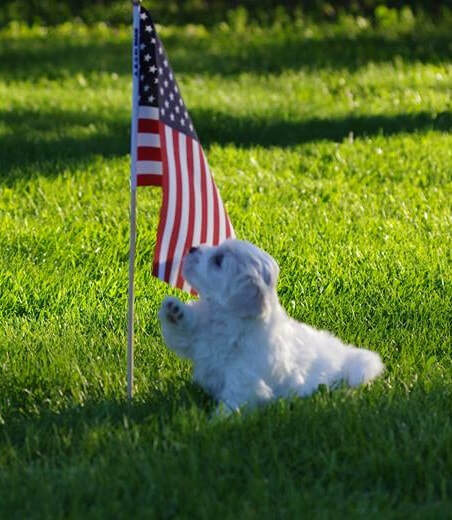 ​Be aware that simply chewing on bones is not enough to keep a dogs teeth healthy for 14-20 years which can be the lifespan of a Coton. So, yep, grab a puppy toothbrush and some chicken flavored toothpaste! Really, any type of doggy toothbrush/paste is good (not human toothpaste- dogs can't spit and flouride is poisonous! ), and there are also some good dental sprays, foams, gels, etc available. Starting when they're young will make your life easier. Speak soothingly, keep first sessions short, and reward with a treat afterward. Daily or at least weekly tooth brushing is important to dental health. Try not to feed your dog sticky, chewy, candy type foods that will cling to their teeth and cause decay. Some treats and foods definitely cause build-up faster than others. For instance, dry kibble is better at not causing that build-up than wet food. Good chewy toys will help clean off that tartar, too. 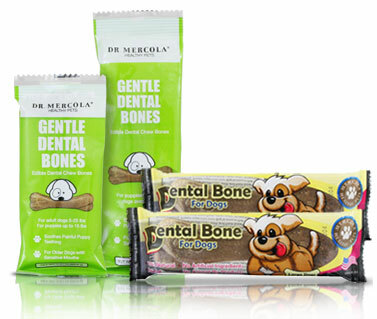 There are many synthetic bones and chew toys that are specially designed to clean your dog’s gums and teeth. Just make sure you’re providing safe objects for your dog to chew on. Hard objects can cause broken teeth. Giving your dog a good chewy can help get rid of build up and keep teeth strong, but it’s not an effective means of ensuring good dental hygiene and overall health. Besides, it's no fun having that dog whose breath is so bad it's embarrassing. Your vet will help you keep an eye on the situation, too. 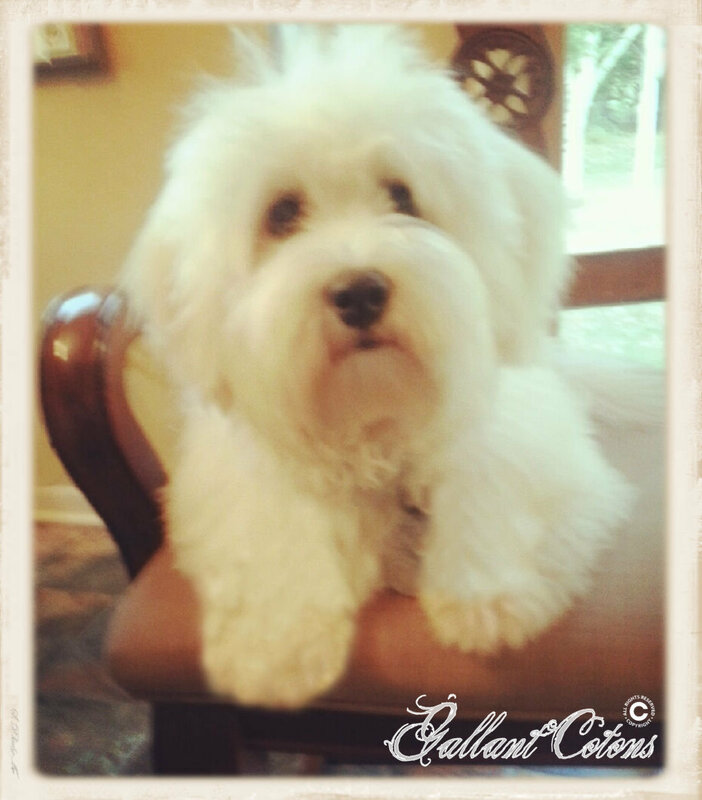 Tartar buildup is no fun, and having your dogs teeth professionally cleaned usually costs several hundred dollars and requires anesthesia, which can be dangerous to your Coton (especially if they're older). Do your best! My vet suggested this brand of dental chews, and I will pass that info on to you. ​Sometimes it is hard getting inside your pet’s mouth. Sprays and liquids have many of the same cleaning powers of a good toothpaste without requiring all of the elbow grease of brushing. They probably don't do quite as good of a job as a good old fashioned toothbrush, but it helps. And the minty fresh smell of their breath afterward can be a welcome change sometimes!